Do we have to celebrate Passover, Pentecost, and Tabernacles? Does that question even make sense? As a father of three boys, I’ve had to get used to disappointment. When I was younger, I imagined being a father was like being the king of a castle or the lord of a manor. Out of respect for my station, my children would jump to do what I told them. After all, that’s what seemed to be expected of me as a kid. The Bible backs me up on this one, too; everyone knows that children should honor their parents. But being a father is more like being a shepherd than being a king. My full-time job is ministry; I have to work, so I don’t have a lot of time for other pursuits. But my kids aren’t weighed down by such concerns. Their “full-time job” is figuring out how to get around my rules in order to get what they want, just like a goat might spend all day trying to find its way through a fence. I suppose I was the same way; it’s a natural part of childhood. In some respects, this never changes. Even as adults we all look for loopholes, for ways to get around the rules. We’d all like to get rich quick or to lose weight fast, if only it didn’t require so much effort. When my kids ask me that, I respond only one way: “Of course you have to!” If I answer any other way, I imply that I wasn’t being serious, and that I’m never really being serious when I ask my kids to pitch in. But even though my answer is consistent, my kids still ask the question. Part of the difficulty of being a parent is having the patience to remain firm yet gentle in the face of these kinds of consistent, subtle retorts. If our parents taught us well, as adults we don’t ask “Do I have to?” anymore. Laws, taxes, assignments at work, requests from our spouse, the numerous responsibilities of adulthood—these are the realities of life. We accept them and perform them without even really thinking about it. Simply put, we grow up. But that’s common sense. Most of us don’t even think twice when we read about commandments that specific in their purview; we understand that they don’t apply to us. 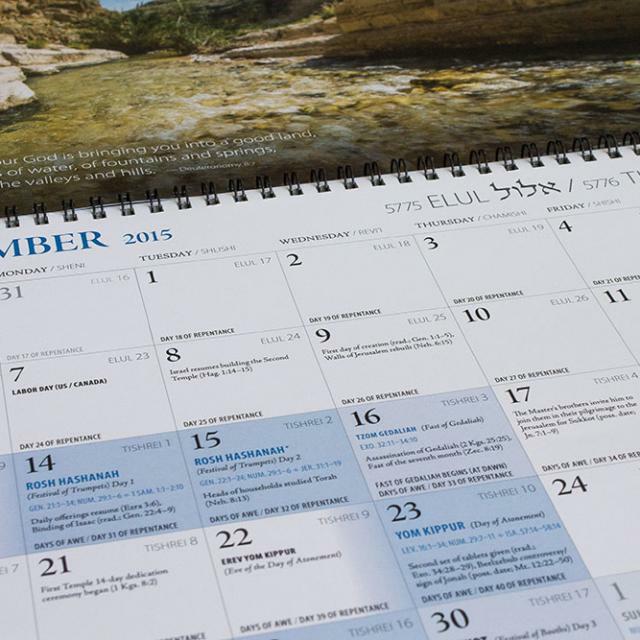 What I find really confusing is when we ask “Do I have to?” in response to the calendar God outlines in Leviticus 23. To be sure, Leviticus 23 does more than just outline a calendar; it contains a lot of commandments that were given to a specific audience. God instructed the Jewish people to celebrate several distinct holidays every year for as long as the Jewish people continued to exist. I suppose in light of the specific wording of God’s instructions, it might make sense for a non-Jewish Christian to ask, “Do I have to?” Do we have to celebrate Passover? Pentecost? Tabernacles? The seventh-day Sabbath? Or were these commandments given only to Jewish people? We might think differently, though, were we to compare our attitude toward God’s calendar with our attitude toward our own calendar. When we consider the calendar we use every day, we don’t think about it as a set of rules or commandments. Despite the fact that it has no force of law, everyone “obeys” the calendar; it’s a universally accepted convention. No one considers it a burden that Saturday comes every week (though we might feel differently about Monday). No one complains that July comes after June. Who cares? And what could you do about it, if you did care? The calendar is the calendar. It just is. You don’t mess with it. You can’t mess with it. I think an intelligent response might be—What do you mean, do you have to? Passover is Passover, like Tuesday is Tuesday. There’s no “have to.” That’s the thing about calendars. They just are. Our antagonistic response to God’s calendar would have made even less sense back in the first century, during the time of the apostles. 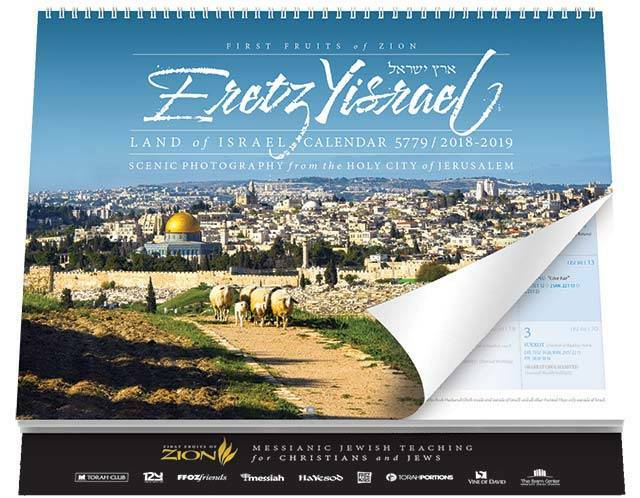 New Testament scholar Troy Martin has pointed out that when it came to calendars, non-Jews coming into the Jesus movement would have had two choices: observe the pagan calendar of the Roman Empire, which was designed to honor a pantheon of false gods, or observe the Jewish calendar, the calendar God revealed in Leviticus 23, the calendar of Jesus and the apostles and the first generation of Jesus-followers. 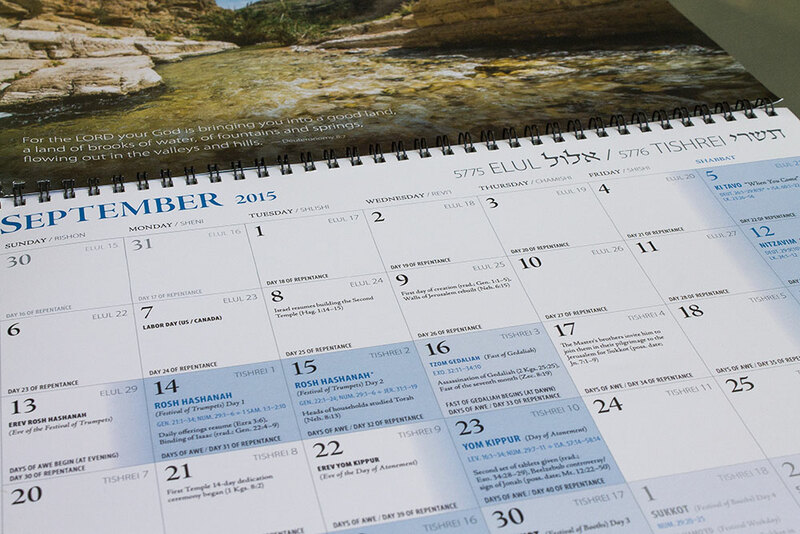 When new converts were baptized and catechized, how do you think they responded when they were introduced to the Jewish calendar? Do you think they complained about having to change their holidays? Or is it more likely that they just accepted the Jewish calendar as a natural part of a life of discipleship to Jesus? What about the apostles? Do you think they would have considered the Roman calendar with its idolatrous holidays an acceptable substitute for the Jewish calendar? Or would they have expected believers in Jesus to observe the same calendar their Master observed? Martin argued convincingly that the choice was clear—and even that Paul admonished his churches to stick with the biblical Jewish calendar, and not to return to the empty celebrations of the pagan Roman calendar. The choice faced by Western Christians today isn’t quite as clear. We’re not faced with a choice between idolatry and sanctification. Our culture’s calendar has been secularized; despite their roots in the names of pagan gods, there is no longer any idolatrous intent behind the names of our days and months. Aside from a few neo-pagans, no one thinks about Thor on Thursday. So we’re not in any danger of idolatry by scheduling appointments and anniversaries according to the Gregorian calendar. But we are still followers of a Jewish rabbi, and practitioners of a religion with deep roots in the Jewish way of life. So why wouldn’t we consider the holidays of the Jewish calendar to be important celebrations, important memorials? If God has revealed his calendar preference in Leviticus 23, and if Jesus and the apostles all seemed to be on the same page (of the same calendar), why would we fight it? Certainly we have no choice but to be fully aware of the calendar of the culture in which we live. If all the Christians in the Western world started forgetting what month or year it was on the Gregorian calendar, we’d have a problem. But I still think we should consider it a perfectly natural, normal, and biblical choice to be aware of God’s calendar. Given our history and the way of life of our Master, it seems like the obvious choice for a Christian would be to make an effort to learn about the special days, the appointments, the memorials God instituted. After all, we have committed to follow Jesus; we are called to follow in his footsteps as best we can. At the very least, we should quit asking whether we have to celebrate the biblical holidays. Whether we decide to be in tune with it or not, God’s calendar is God’s calendar.